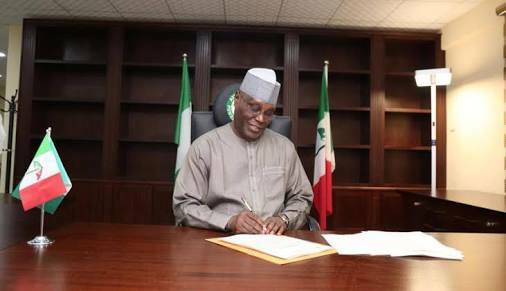 The PDP has said it will work towards getting the presidential candidates of the Coalition of United Political Parties (CUPP) that adopted PDP’s candidate, Atiku Abubakar, to withdraw from the presidential race following Atiku’s adoption by the CUPP. In an interview with The Punch on Saturday, the National Publicity Secretary of the PDP, Kola Ologbondiyan, said there would be a public declaration of Atiku’s adoption by the CUPP soon. But the presidential candidate of the Social Democratic Party, Mr Donald Duke, has dissociated himself and his party from the adoption of Atiku by the CUPP. 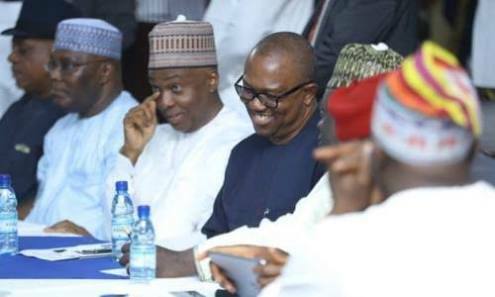 But the National Publicity Secretary, SDP, Alfa Mohammed, said the party had yet to take a decision on CUPP’s adoption of Atiku. In an interview with The Punch, Mohammed explained that the National Working Committee of the SDP would meet on Monday to decide on the development. In contrast, the presidential candidate of the Mass Action Joint Alliance, Prof. Funmilayo Adesanya-Davies, said she was committed to the CUPP and Atiku’s endorsement. In a statement by the Assistant Director-General, Media, PMA Campaign Organisation, Kana Sani, Adesanya-Davies said she would abide by the decision of the CUPP. She explained that 43 chairmen and over 15 presidential candidates of the coalition met in Abuja and adopted Atiku as the CUPP’s consensus presidential candidate. In the same vein, the African Democratic Congress (ADC) said it was in agreement with the 45 political parties which adopted Atiku as their candidate for the 2019 presidential election. The National Chairman of the ADC, Chief Ralph Nwosu, explained the position of the party on Thursday night during a fundraising dinner and conferment of awards on some personalities. According to him, the ADC is a strategic member of the CUPP. Nwosu stated, “We stand by the CUPP and wherever the CUPP goes, we will go. Northern Leaders Withdraw Support for Buhari over Revelation by his wife, Aisha? Hey Buddy!, I found this information for you: "Atiku As 2019 Consensus Candidate: PDP Moves To Get Other Parties’ Support". Here is the website link: https://headlinenews365.com/atiku-as-2019-consensus-candidate-pdp-moves-to-get-other-parties-support/. Thank you.